After a hectic, but enjoyable, orientation the group headed off to our new home in the hills of Tuscany. 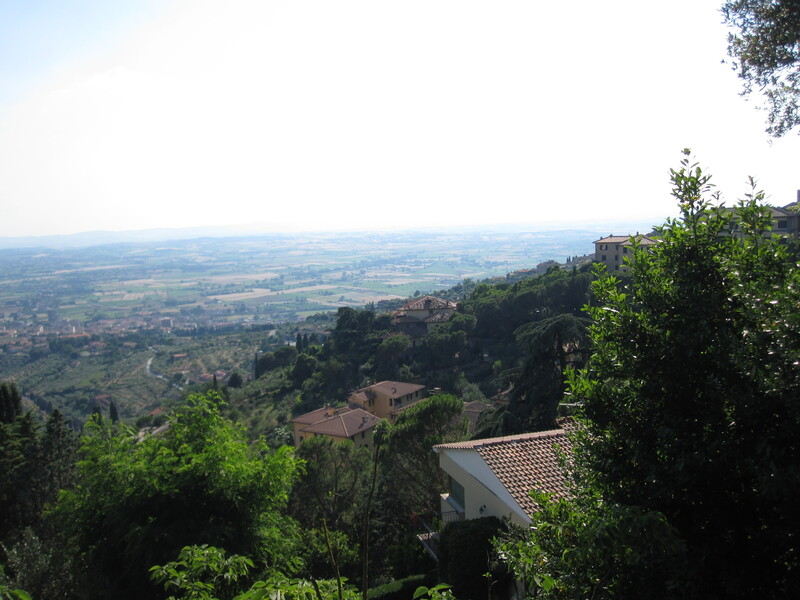 Cortona is a beautiful little city where the author of “Sotte Il Sole Tuscano” or “Under the Tuscan Sun” still lives. It’s a tiny little place with an official population of 23,000 people, but an unofficial total closer to 8,000. 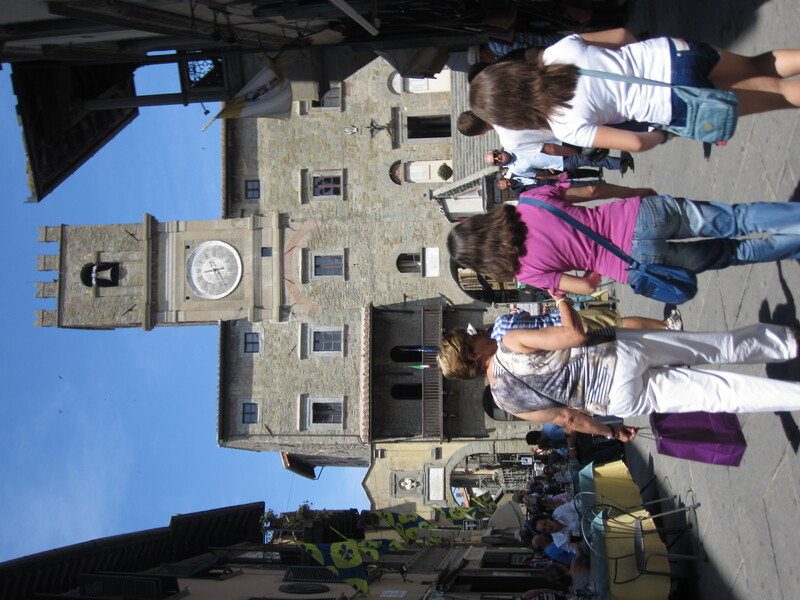 During the summer, thousands of tourists from across the world (we saw Japanese, Chinese, French, German, Mexican, Spanish, American, and other tourists) flock to this tiny little town for a taste of Tuscany. From the main piazza one can look out and see two dormant volcanoes and the famous Lake Trasimeno. The area is beautiful and allows easy access to famous cities like Florence (1 hour away) and Siena (1.5 hours away). The main piazza hosts dozens of weddings a year (sometimes it seems like dozens a day) complete with the traditional red rice. The group would stay in a truly unique hostel for our time in Cortona. The kids would ultimately call it the “brothel,” though I have no idea why they decided to call it that. All of the boys shared a single room, as did the girls. I had my own space, but it was a smaller room inside a larger room. As a reult, I sometimes would have to pass by other guests in order to arrive at my space. So that’s a brief outline of where we would spent 1.5 weeks learning the langauge. More on the specifics of our visit shortly. Also, the title of the post refers to a really popular song in Italy that I heard for the first time in Cortona. I find it really annoying, but the Italians all loved it. You can find the link to the song here. Ciao!